There are hundreds of thousands of individuals who are discovering Kratom consistently on a daily basis. Questions on how Kratom powder is used are common among these people. While there are no definitive correct or wrong ways of using Kratom powder, many people consume it certain ways. In case you are new to Kratom, and do not know how to use kratom effectively, you will find helpful ideas on how to incorporate kratom into your routine to enhance the effectiveness of kratom dosage. First and foremost, it is important for new users to understand what kratom is, its origins and how kratom powder is made. How is Kratom Powder Used? Kratom is a tree usually cultivated in southeast Asia. There are also regions in Africa where it is grown. Kratom tree thrives in a humid and hot and environment, and this is the reason why the Ketapang and JongKong regions are the places where most farmers harvest the strongest Kratom, found in Indonesia. Harvesting of Kratom from the tree is done by picking leaves. The leaves are then dried later on by the farmers to get the specific vein color, and this is where favoritism kicks in. The dried kratom leaves are crushed to get kratom powder. Whether you are a new Kratom user, or experienced user, sooner or later, you may end up gravitating toward a strain color which becomes your favorite. We are right now getting down to it. To a new user, Kratom can actually taste horrible. There are many ways in which you can know how to use Kratom powder. Once you purchase kratom it arrives in your doorway, you will realize it is usually in form of powder (unless it’s specifically purchased inform of vein and stem). Tossing and washing are among the popular ways of using Kratom powder. At this point, take an amount of the required dose, toss it at the back of the throat through your mouth, and then wash it down using a favorite drink. No one should fool you, as this process cannot be managed by the faint-hearted. If you are not very certain about handling dry powder into your mouth to force a lump down the throat, it is better for you to try taking kratom using a different method. This method is a great way to take your dose efficiently and quickly if at all you can do it in the right way. Note: There are oblate discs available, which can be purchased from Amazon or some other places. This allows you to wrap the dry powder and swallow using a drink. An oblate disc refers to a thin non-plastic piece which digests easily, and cannot hurt you at all. This is probably among the easiest ways of learning how to use Kratom powder. It involves mixing the powder with a favorite beverage of your choice such as the “Hawaiian fruit punch drink mix pouches”. 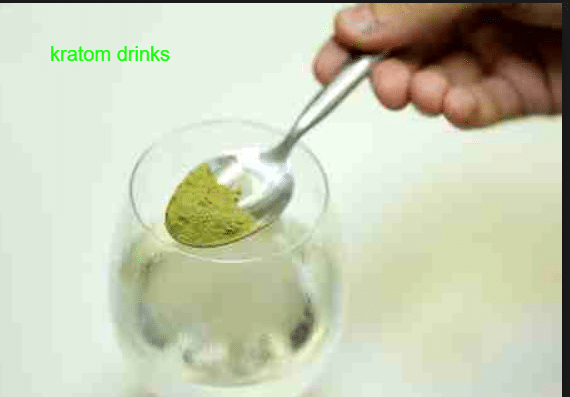 A favorite drink masks the Kratom powder taste and it becomes quite pleasant. The calorie intake level of the pouches only adds up to 5 calories, and this makes it even more helpful. You can play around with the mixture until you taste the desired level you want. New users of kratom need to always start with a small amount and work up their way to the desired dose that suits them. There are many people who can offer assistance when deciding on where to start. It is recommended for you to speak to these people to help you get on track. You can monitor yourself right after taking your first dose and make a decision of adding more or remain right where have started. The preferred method of kratom dosage is on an empty stomach for most users. Are you new to using Kratom Powder? 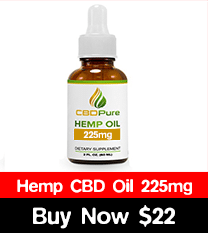 If you are an individual who has just known about this amazing plant, just try some without any hesitation. When still new to the usage of Kratom, it is advised that one should research on the best strain of kratom for the effect you need and the dosage as well. Kratom leaves consist of different vein color and strains as well. If one does not have any idea, it can be quite confusing. The effect produced by different strains Kratom may vary widely. Generally, users may experience a heightened alertness in the mind, increase of physical energy and even increased sexual energy, increased motivation, mood elevation, and the ability to work hard. A person can also become more talkative, sociable, and friendly. The stimulating effect of Kratom powder is very unique when compared to the normal stimulants of CNS like caffeine and other amphetamine drugs. When using Kratom powder for energy and stimulation, most users have reported a better feeling at low dosages. High doses of kratom tend to bring about effects of mode sedating. It is best to do an experiment in order to find out the ideal dosage for you. During the usage of these particular strains, you will not experience a lot of sensitive physical or emotional pain, and may also give you a feeling of comfortable pleasure. You will actually feel very calm and you can easily go into a state of “dreamy reverie”. Some individuals do experience itching or sweating. It is also possible to have a feeling of nausea. If this happens, just lie down and relax until when you feel your nausea has subsided. It will be actually very pleasant to have a relaxation in a dim room partially. All you have to do is close your eyes and listen to favorite music. As mentioned earlier, if you are a new person to Kratom, starting on a low dose to experiment until when you make the discovery of your “sweet spot” is highly recommended. To start with, take from 2-3 grams. If you happen not to feel anything after 30 minutes, consume another dose. From here you should expect a slight effect at least, and this is where you ought to begin on the dose of Kratom. You should bear in mind that a very little dose will have little or no effect, but if you slightly increase your dosage, it might bring about an intoxicating effect. If you feel nauseated already, it shows that the dosage is too much for you. You should note that Kratom of superior quality can easily cause-effect from at 3 – 5 grams. All Kratoms are not equal in quality, and so it’s better to get the best quality in order to achieve the desired effect for a smaller amount. Taking Kratom is recommended for consumption when one is hungry. For maximum effectiveness, the best time to take kratom is in the morning, before eating anything, or 2 hours before meals. It can be taken with food, but the effect it will have on you will be greatly reduced. To achieve the effect desired when consuming kratom with food, you can increase the dosage. The following is a general guide for a specific strain of kratom, to help you get your required dose. It is always recommended that you start with step1 whenever you are trying a new strain. Step 1: On an empty stomach, consume 2 – 3 grams of Kratom powder. The effect will be felt in around 30 minutes. Step 2: You can assess the sensation or effect after 30 – 45 minutes. If you do not feel anything, add 1 – 2 grams of kratom powder. Step 3: Now reassess the effect 15 minutes after consumption. This should be sufficient for you to notice a change. Step 4: If you still think you require a little more, consume another 0.5 – 2 grams. Step 5: Now at this moment, you ought to feel a bigger change that is a good feeling! Step 6: After 4-5 hours since the first consumption and you feel like taking more, repeat the whole process by using the same strain you used previously. Being a beginner in using kratom powder, 3-5 grams of Kratom powder should be enough for your receptors. If you happen to be below 150 lbs. of weight, a dosage of 1.5 grams could be enough to start with. For the people who rotate strains or for the irregular users, this amount is often good, to begin with. Among the most common concerns in trying to maintain the effect of Kratom are dependence and tolerance. If Kratom alkaloids levels remain high consistently for a long period of time, the brain could become desensitized to the effects. Dosage amount. You should endeavor to Keep Kratom dosage lower than the average level to reduce tolerance. This method offers more room for a better effect. Dosage intervals. To ensure that the level of brain alkaloids returns to the baseline, you need to space out the dosage. This ensures your tolerance or dependence will not increase. It is advised that one should limit the use of Kratom to once a day, regardless of what condition is being treated. Strain rotation. Many users have had success in preventing dependence and tolerance by changing of strains each day to ensure that the alkaloids level in the brain varies. For instance, switching from a Green vein Bali to a Red vein Thai. For you to do this, having a variety of strains is crucial, at least four of them. Apart from preventing dependence or tolerance, other advantages of rotating strains are that it helps in reduction of the possibility of strain ‘burn out’ in the body, or almost one becoming immune to the effects of a particular strain. Another efficient way of preventing Kratom dependence or tolerance is by reducing doses taken slowly. If you really want to lower the present intake of Kratom, you have to gradually taper down so that your brain can adjust slowly. To effect this you may also have to use other Kratom consuming methods. This ensures that the alkaloids that accumulated from your previous dose completely leave your system before consuming another dose. In case of Kratom, just take it once a day if you are consuming every day then start skipping with time. Ideally, you ought to take Kratom after every two days, limiting use up to two times a week for less. Intermittently, you can reduce the dose, which is quite a gentle way of preventing addiction, dependence or tolerance. You should take note that all these recommendations provided are based on different experiences of users, and the stories are not from trials in the clinics. It can be challenging to find the most effective way of using Kratom, with so many trials and errors. If all these factors are taken into consideration, you will definitely be in a better position of enjoying Kratom’s medicinal benefits and also avoid the pitfalls along the way. Hopefully, this guide provides a good summary of the usage of Kratom powder and the dosage needed. As mentioned, the process of getting your “sweet spot” needs to be fun, to ensure that you move in with that attitude. It could be very frustrating to feel like you are not deriving anything from your efforts (it may happen when starting out). It is also not pleasant if you take too much, but if you certainly want to get the most out of the wonderful plant, then you need to be patient and have a methodical approach as described.